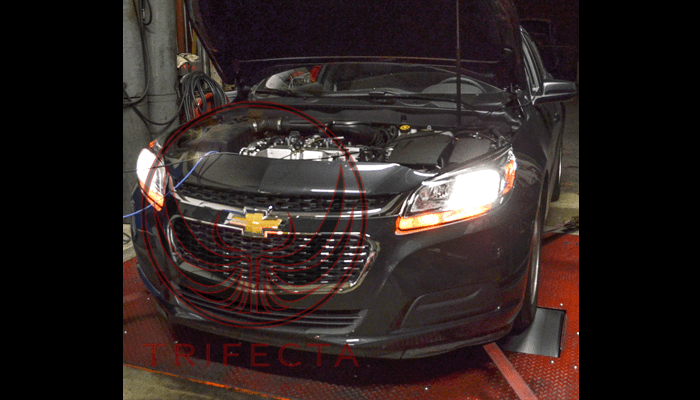 This release post is a presentation of the software engineering capabilities of TRIFECTA Performance: TRIFECTA presents a complete powertrain power delivery profile recalibration for the MY2013+ Chevrolet Malibu LCV/LKW engine and corresponding 6T40 automatic transmission reprogramming. 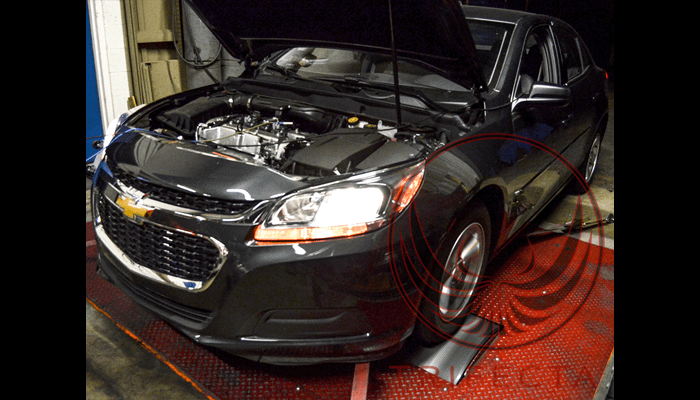 The TRIFECTA Performance Chevrolet Malibu 2.5L LCV/LWK MY2013+ powertrain calibration is an easy to install software performance recalibration with an included flash loader device that will yield gains of +25 ft-lbs @ 6500 RPM and +35 WHP @ 6500 RPM (Peak vs peak gains of +1 ft-lbs and +6 WHP) to a completely stock Chevrolet Malibu 2.5 (LCV/LKW) MY2013+. 2500 miles later - Still works like a charm, but I would like to see the tune off/tune on feature via the cruise control button. 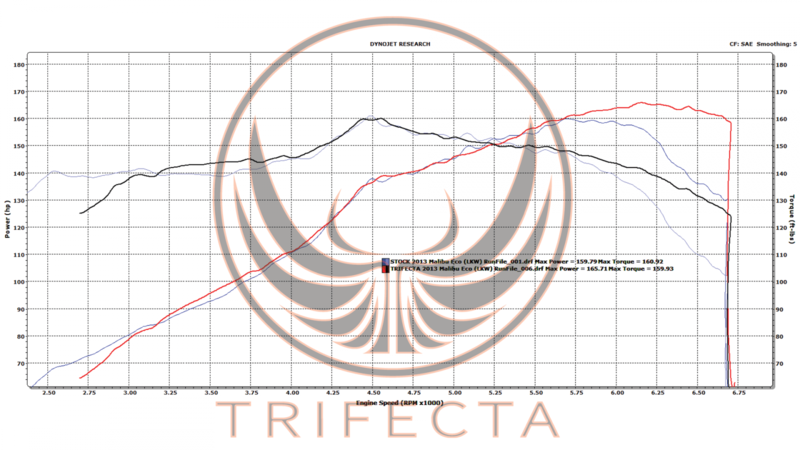 I have noticed a few small issues where the car bogs down in low gear (like it should be in 5th and not 6th) and if I give a little more gas, it will downshift atleast 2 gears at 6k+ rpm, doesn't happen a lot but when it does its very unexpected. 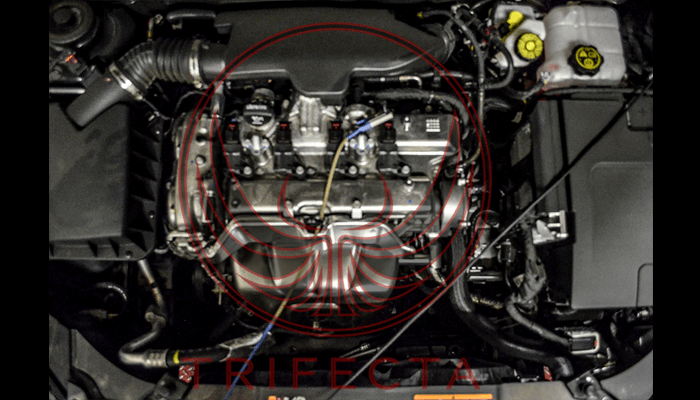 Had a similar thing going on, flashed it back to stock, drove it a bit, then reflashed the tune back on it and its been working flawless ever since!